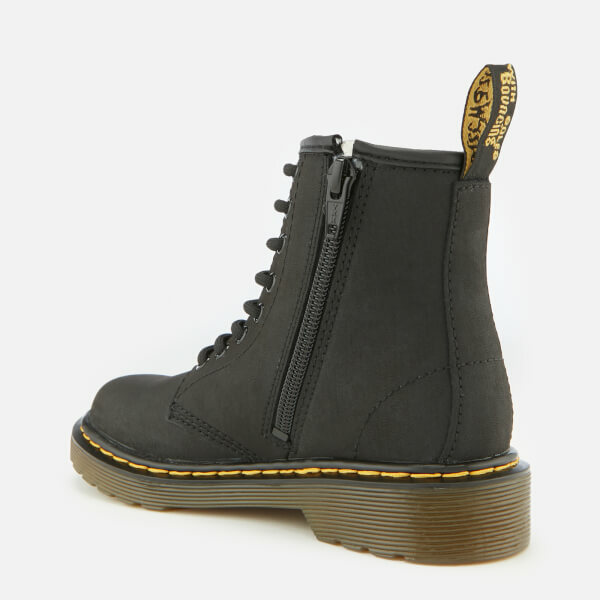 Kids' eight-eye Dr. Martens. A scaled down version of the classic adult counterpart, the '1460 J Serena' boots are crafted from faux leather and lined in cosy fleece. 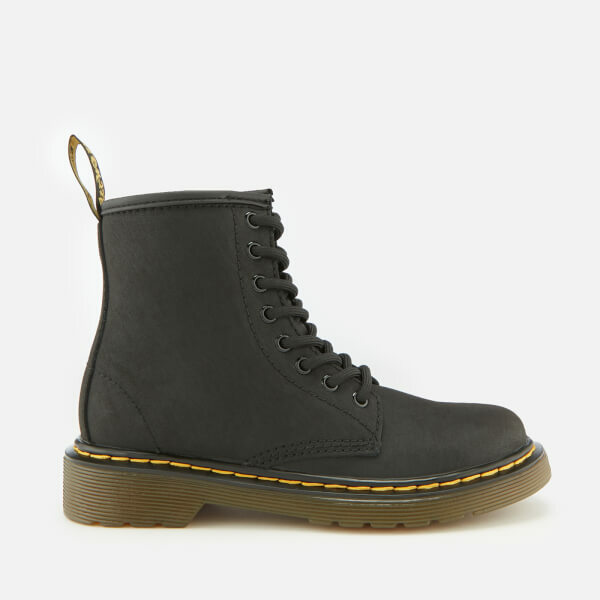 With an iconic design, the Doc Martens feature a rounded toe, eight-eye lace-up fastening and signature scripted heel pull for entry assistance. 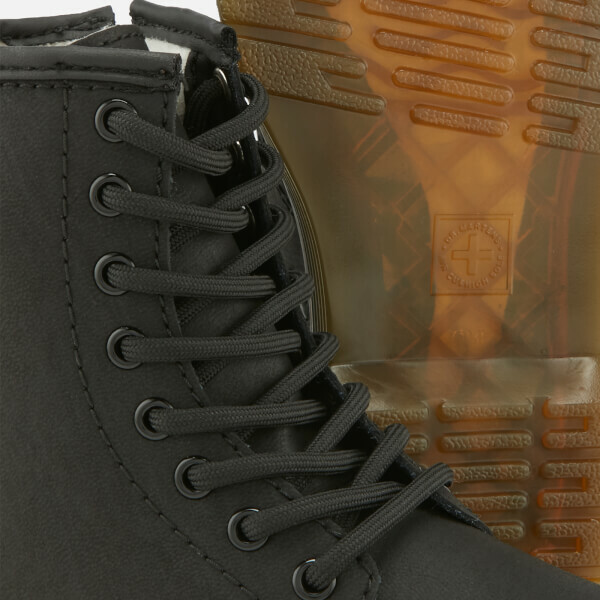 Set upon the brand's iconic air-cushioned sole with grooved midsoles and yellow stitching for a stamp of authenticity.